I’d like to announce the new Community Veteran Support group: Fearless Messengers. It is searchable under “Military” in Crossroads church groups. We meet once a month on a Tuesday from 6:30 pm to 7:30 pm. 2. It is an action group going into the communities. 3. It is a community to help one another with the aftermath of serving in the military. At our first group meeting, we had a member of the VA Suicide Prevention team talk to the group. At our second group meeting, we had a speaker from People Working Cooperatively. As a result of talking to PWC, we will have our first volunteer group activity on 11/18/18. Free app with a free book. 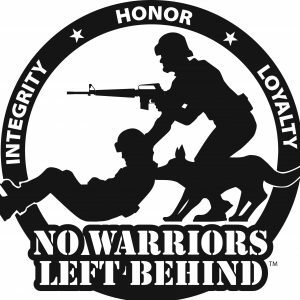 Check out the app: No Warriors Left Behind. Now downloadeble on IPhones and Android. Helping prevent suicide among veterans. Because ONE suicide among veterans is too many. This is how the app looks once downloaded or connected. I hope you can understand the flow of the app. It is pretty simple now but it will evolved to have more services and even places that offer military discount. As you may have noticed, I have not been posting the last couple of weeks. The reason is I’ve been devoting all my time and effort to complete a project I spoke about a few weeks back. I would like to introduce my initiative “Suicide Prevention App” named “No Warriors Left Behind”. The app is currently in its infancy stage. There will be more information and upgrades to come in the future. I’d like to hear your response about the app and hope it will prevent someone from taking their own life. The app is published in the Android store and Google Play. It’s not currently available in the Apple store, as the publishing process for the Apple/ITunes takes a bit longer. As soon as it is in the Apple store, I will let you know. I am compiling a list of all the suggestions from you so I can modify the app for needs. I am doing this for the veteran community. My goal is to save lives and improve the living standards of all services members, and their families, and to bring the veteran community together. This app is our way to give back to the ones that have given so much. Under PTSD facts is a book written by Dr. Steve Rose title Making People Change it is not a PTSD but it has good information about helping people with mental health problems. as freedom is not free! This is a project I’ve been working on for the past year. This project was developed to save lives, inform, and bring the military community together. It will save lives by making it easy for suicidal veterans to connect to a person who can help them right away. It will provide information and links that veterans in need can get to without spending hours searching for it. There are two very distinct groups of veterans. There are the veterans in immediate need. This group includes the veterans that were in country in the heart of the fight and the people that were sexually assaulted. The other group is the veterans that have no needs the CEOs and presidents of all different companies. Maybe by bringing these two groups together we can help one another like we did when we were serving together. I’d like to hear from you if you think there is a need for my kind project. Not to be confused with the Wounded Warrior Project — which also does fine work, but allocates just 60% of its donations to programs while spending a staggering 34% on fundraising initiatives — Wounded Warriors Family Support lends its assistance to the loved ones of injured veterans. The publicized version of their job includes family retreats where loved ones can blow off steam, but some of their lesser-known initiatives include a welding program for veterans with the United Auto Workers union and Ford and a caregiver respite program that provides supplemental services for those taking care of wounded veterans. It addresses not only the injured veterans themselves, but the impact their injury has on their family and loved ones. It’s simple recognition that when one person goes off to war, their family isn’t immune to that war’s effects — and needs just as much help getting back to “normal” as veterans do. The KKK Recruiting Veterans This is the article yesterday’s post was referring. …those who advocate for these ideas perceive themselves as victims in a world where their status has come under question. Unfortunately, many soldiers experience traumatic brain injury when in combat, but is traumatic brain injury (TBI) linked to later combat posttraumatic stress disorder (PTSD)? Two recent studies examined the link between traumatic brain injury and PTSD in marines and army soldiers. In a study published last year, Association Between Traumatic Brain Injury and Risk of Posttraumatic Stress Disorder in Active-Duty Marines1 shows that 19.8% of Marines reported sustaining a deployment-related TBI where most (87.2%) were mild in nature. It was noted that while predeployment PTSD symptoms and severity of combat intensity did predict a higher risk of postdeployment combat PTSD, a better predictor was the experience of a TBI during deployment. Moderate or severe TBIs predicted the presence of PTSD symptoms at three months postdeployment more than mild TBIs did. What this all means that a TBI during deployment actually predicts the presence of PTSD symptoms better than other known risk factors and that the more severe the TBI, the greater the risk of combat PTSD. There was a greater risk of posttraumatic stress disorder at the three month and nine month mark. There was a greater risk of generalized anxiety disorder (GAD) at the three month and nine month mark. There was a greater risk of a major depressive episode at the three month mark. Suicide risk may be elevated at the three month mark but the relationship did not reach statistical significance. This study shows that there is a risk of, not only PTSD for those who have suffered a TBI, but also other mental health issues as well. While we don’t currently understand why the link between TBIs and PTSD exists, it’s clear that it does. What this, like other studies, suggests is that PTSD is, indeed, a physical illness and not “all in one’s head” like some would have you believe (You Don’t Have A Mental Illness: It’s All In Your Head!). What this means for soldiers is that greater care should be taken in screening for PTSD after a TBI is sustained and, critically, even mild injuries can increase a soldier’s risk of PTSD. While this may seem like a bleak finding, really it is not. What this finding does is further our understanding of combat PTSD and it allows us to further target risk groups to better treat those in the military as a whole; because, we know that treatment of combat PTSD is possible and we know that people successfully recover from combat PTSD every day. More than a decade of war in the Middle East has pushed post-traumatic stress disorder (PTSD) to the forefront of public health concerns. The last several years have seen a dramatic increase in the number of Iraq and Afghanistan war veterans seeking help for PTSD,1 shining a spotlight on this debilitating condition and raising critical questions about appropriate treatment options and barriers to care. The symptoms and syndrome of PTSD became increasingly evident during the American Civil War (1861–1865).8 Often referred to as the country’s bloodiest conflict, the Civil War saw the first widespread use of rapid-fire rifles, telescopic sights, and other innovations in weaponry that greatly increased destructiveness in battle and left those who survived with a myriad of physical and psychological injuries. Despite numerous studies, according to Dr. Schnurr, whether PTSD is a greater risk to female veterans than male veterans is still largely unknown. However, she says that as women continue to play more active roles in the wars in Iraq and Afghanistan and are increasingly exposed to combat situations, their likelihood of experiencing PTSD rises. More research is needed to better understand these and other risk factors for PTSD and to help clinicians and other care providers offer the necessary treatment before symptoms become chronic.28 Several large VA studies are under way that include both psychological and neurobiological measurement, Dr. Schnurr says. She notes the benefit of studying the effects of war-related acute stress in real time, using both pre- and post-deployment assessments, as well as data from military members currently in theater. “These wars have given us the best opportunity to longitudinally track what happens to people and to examine the risk and resilience factors associated with the outcomes,” she adds. The VA defines PTSD as “the development of characteristic and persistent symptoms along with difficulty functioning after exposure to a life-threatening experience or to an event that either involves a threat to life or serious injury.” 29 In addition to military combat, PTSD can result from the experience or witnessing of a terrorist attack, violent crime and abuse, natural disasters, serious accidents, or violent personal assaults. Two main types of measures are used to help diagnose PTSD in veteran populations and assess its severity: structured interviews and self-report questionnaires.34 The Clinician-Administered PTSD Scale for DSM-5 (CAPS-5) is considered the gold standard for PTSD assessment in both veterans and civilians.35 The detailed 30-item interview has proven useful across a wide variety of settings and takes approximately 30 to 60 minutes to administer. First developed to treat the symptoms of PTSD in sexual assault victims,42 CPT focuses on the impact of the trauma. In CPT, the therapist helps the patient identify negative thoughts related to the event, understand how they can cause stress, replace those thoughts, and cope with the upsetting feelings. Once highly controversial, eye-movement desensitization and reprocessing (EMDR) has been gaining acceptance and is now recommended as an effective treatment for PTSD in both civilian and combat-related cases in a wide range of practice guidelines.29,40,46,47 In EMDR, the therapist guides patients to make eye movements or follow hand taps, for instance, at the same time they are recounting traumatic events. The general theory behind EMDR is that focusing on other stimuli while revisiting the experience helps the patient reprocess traumatic information until it is no longer psychologically disruptive. All other medications for PTSD are used off-label and have only empirical support and practice guideline support.49 These include the SSRI fluoxetine and the serotonin norepinephrine reuptake inhibitor (SNRI) venlafaxine, which are recommended as first-line treatments in the VA/DoD Clinical Practice Guideline for PTSD. Venlafaxine acts primarily as an SSRI at lower dosages and as a combined SNRI at higher dosages. Antidepressants have been the central focus of pharmacotherapy research in PTSD, but better treatments are greatly needed. “Right now, the interest is in novel medication development rather than simply relying only on the SSRIs that we have because we only get so far with them,” Dr. Schnurr says. Researchers are looking closely at the role of the inhibitory neurotransmitter gamma-aminobutyric acid (GABA) and the excitatory neurotransmitter glutamate in PTSD. Both GABA and glutamate play a role in encoding fear memories, and therapeutic research targeting these systems may open new avenues of treatment for PTSD. For example, the novel multimodal anti depressant vortioxetine (Trintellix, Takeda) modulates GABA and glutamate neurotransmission. According to ClinicalTrials.gov, several ongoing studies are investigating the efficacy of vortioxetine and another new multimodal antidepressant, vilazodone (Viibryd, Allergan), in PTSD. Both drugs have been approved by the FDA for the treatment of depression but not for PTSD. Although the use of medical marijuana to treat PTSD remains controversial, recent actions by the federal government have brought veterans closer to being able to obtain medical marijuana. In April 2016, the Drug Enforcement Administration approved the first-ever controlled clinical trial to study the effectiveness of cannabis as a treatment for PTSD in military veterans, and in May, Congress voted to lift a federal ban that has prevented veterans’ access to medical marijuana through the VA in states that allow it. Medical marijuana is legal in 23 states and the District of Columbia for the treatment of glaucoma, cancer, human immunodeficiency virus, and other conditions. Suggested nonpharmacological and pharmacological treatments for PTSD are listed in Table 2. The VA/DoD Clinical Practice Guideline for PTSD cautions against any use of benzodiazepines to manage core PTSD symptoms because evidence suggests that they are not effective and may even be harmful.29However, despite this guidance, almost one-third of VA patients being treated for PTSD nationally were prescribed benzodiazepines in 2012, says Nancy Bernardy, PhD, Associate Director for Clinical Networking at the VA National Center for PTSD. According to Dr. Bernardy, the rates of benzodiazepine use among veterans with PTSD are declining, but focused interventions are needed to achieve further reductions. She says the VA is studying the use of an academic detailing approach to share decision support tools around the appropriate use of these drugs.63The initiative targets subgroups of veterans with PTSD in which there are increased rates of benzodiazepine prescription, including those with comorbid substance use disorders and those with comorbid traumatic brain injury. Designed to be used by providers with their patients, the decision support tools incorporate safety concerns related to the targeted subgroups and offer tapering guidance and information on alternative, evidence-based treatments for PTSD. “It’s taken a while, but we’re beginning to see success,” Dr. Bernardy says of the initiative, adding that the involvement of family members is an integral part of the tapering process. The VA is also looking at other models for increasing engagement in evidence-based PTSD treatment through shared decision-making. According to Dr. Schnurr, considerable effort has been made to destigmatize seeking mental health treatment among military veterans. For example, the VA is developing initiatives to enhance collaborative care services that integrate mental and physical health, which is thought to help minimize the stigma associated with PTSD. Additionally, the VA has implemented various outreach initiatives, such as the “About Face” awareness campaign, a series of online videos that introduces viewers to veterans who have experienced PTSD and provides guidance on seeking care. Research indicates that community-based mental health providers are not well prepared to take care of the special needs of military veterans and their families, including evidence- based treatment of PTSD and depression.83 According to Dr. Schnurr, there has not been sufficient dissemination and implementation of the most effective psychotherapies in community-based settings, such as primary care practices, behavioral health centers, substance-abuse treatment facilities, and hospital trauma centers. To help meet these needs, the VA developed the PTSD Consultation Program for Community Providers (vog.av@tlusnocDSTP), which offers free education, training, information, consultation, and other resources to non-VA health professionals who treat veterans with PTSD. A number of initiatives across the country provide training and/or treatment support to providers who offer services to veterans with PTSD. The Center for Deployment Psychology, a nationwide network of medical centers, trains military and civilian behavioral health professionals to address the emotional and psychological needs of military personnel and their families through live presentations, online learning resources, ongoing consultation, and education.84 Star Behavioral Health Providers is a resource for veterans, service members, and their families to locate behavioral health professionals with specialized training in understanding and treating military service members and their families.85 The service is currently offered in California, Michigan, New York, Indiana, Ohio, Georgia, and South Carolina. While many important advancements have been made over the past few decades in understanding and treating symptoms of PTSD, the rising number of American veterans who suffer from the disorder continues to be a serious national public health problem. Cognitive behavioral therapy is a widely accepted method of treatment for PTSD, but there is clearly an urgent need to identify more effective pharmacological approaches for the management of symptoms, as not all patients will respond adequately to psychotherapy or evidence-based/first-line pharmacotherapy. Further understanding of the underlying physiological and neurological processes will be helpful in developing new and effective therapies to treat PTSD. Research also suggests further opportunities for the VA and other health care systems to develop new and innovative ways to overcome barriers to treating veterans with PTSD. With veterans and their families increasingly seeking care outside of the VA system, community providers play a key role in helping to address these challenges. It is critical they receive the education, training, and tools to improve their understanding of and skills for addressing the needs of this unique population.